The foll﻿owing MVP bosses will be enhanced by green aura. hahaha...those recipes to create some OCP items and old gears from lucky boxes lol. So this is how kRO reacts to adopt items from cash shop box to be obtainable in game. Also sigma, MVP from illusion dungeons not included on green aura thing? Don't have them in list. I guess they're special bosses since they don't spawn naturally. 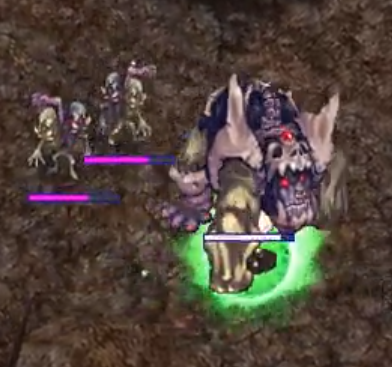 New boss from EP 17.1 R48-85-Bestia also has green aura as well but doesn't be mentioned in the list. And it seems new 3 bosses (Miguel and EL A17T in the instance and R48-85-Bestia in dungeon) use new monster skills like Recovery Conversion as well. They should create more mvps for fields and then put green aura on them. They recycle what they have all the time, i hope people hate it and they change it. Gravity just want to make MVP fighting to be challenging again like decade ago. 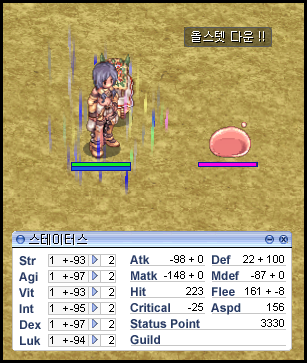 20 Rough Zelunium can be forged into 1 Zelunium. 20 Rough Shadowdecon can be forged into 1 Shadowdecon. It was confirmed that MVP bosses use new monster skills too. Convert specific damage type recieved to heal themselves for 30 seconds. There are 3 types of Recovery Conversion, physical / magical / special. Attacking target with correspond recovery conversion type will heal them instead. You need to change damage type dealing to them. Swap position between monster and target player instantly. Debuff skill that reduce target MaxHP as percentage every second for short period of time. If target HP reach 0. It will die. Buff monster to immune to certain element for a period of time. Any damage dealt that correspond to their elemental immunity will miss. Debuff skill that greatly reduces target's all stat for a period of time. any information of which MVPs got which new skills? There is no word from official page yet. I just got info from players' observation. Immune Elemental : Someone said all bosses use this skill. im sorry, what is demon's grasp? Official name of Change Location. But since bosses are immune to knock back. What this skill does is just pull player to their location. This will massivelly impact the economy and people who already have MVP cards will hold onto them and those who don't have will be in an unfair system to obtain it compared to before. The system is fine, implementation on the other hand is flawed. Should only be made to new MVPs or content, not recycled. Location Change and Demon's Grasp Death Grasp are distinct skills. Location Change : swap position of target and caster instantly. Rigid Nightmare Terror in Nogg Road 3F often use this skill. Death Grasp : Pull target to nearby caster location. Wide Death Grasp : Pull all targets within certain area to nearby caster location. why making death grasp if there is phantom thrust skill already? Orc Warlord TOken drops from Orc Hero and Orc Lord. White Snake's Tear drops from Bacsojin (Not confirm on Evil Snake Lord). Knotted Letter drops from Samurai Spectre.